Every year, as Christmas approaches, shops on the street arrange a dazzling display of Christmas presents, with Santa Claus and Christmas trees, and so on. Festooned in trees and on buildings there are many-colored lights, and whole cities are decorated with lanterns and colored hangings, and everywhere there is joy and excitement. To Christianity, Christmas is a very special holiday, and several months before Christmas, many churches will begin to busy themselves preparing everything necessary for the Christmas holiday. On Christmas Day, the churches are filled, and brothers and sisters get involved in the celebrations, eating Christmas dinner, putting on performances and worshiping the Lord Jesus, and so on. Everyone’s face is flushed with happiness. However, when we get together in joyous gatherings to celebrate the Lord Jesus’ birth, do we understand the meaning of Christmas? Perhaps brothers and sisters will say, “The Lord Jesus was nailed upon the cross to redeem all mankind, and so as to remember and celebrate the Lord Jesus’ birth, Christians established Christmas. Though the specific day on which the Lord Jesus was born is not recorded in the Bible, Christmas gradually became a universal holiday in the wake of the expansion of Jesus Christ’s gospel.” We may have known this, but do we know God’s love and His will for us that was actually hidden behind the birth of the Lord Jesus? And how should we approach Christmas in a way that is after the Lord’s heart? In the beginning, Jehovah worked in the form of the Spirit amongst man, He used Moses to proclaim His laws and commandments, He guided mankind how to live on earth, He let people know what was good and what was evil, how to worship God, and so on. But when the Age of Law was coming to its end, because mankind was being corrupted by Satan ever more deeply, man could not adhere to the laws and there were no longer enough sin offerings they could make that could expiate their sins; people faced the danger of being condemned and sentenced to death by the laws at any time. God couldn’t bear to see mankind, which He’d made with His own hands, be destroyed in such a way. To allow mankind to survive, therefore, God came down from heaven and incarnated as the Lord Jesus Christ, He appeared and performed His works, He expressed the way of “Repent: for the kingdom of heaven is at hand” (Matthew 4:17), He taught people to be tolerant, patient and to love their enemies, and to forgive people seventy times seven times. He also healed the sick and cast out demons, and performed many signs and wonders and, in the end, He was nailed to the cross, thus redeeming mankind from their sins. So long as we accept the Lord Jesus as our Savior and sincerely pray to the Lord, confessing our sins and repenting, then our sins are forgiven, and we can enjoy peace, joy and all the abundance of grace that comes from the Lord. It can be said that, only because the Lord Jesus was born and God personally incarnated to perform the work of redemption, was mankind able to evade the condemnation and the fetters of the law, and so was no longer subject to being condemned or sentenced to death. Only because the Lord Jesus was born, those who followed Him were able to enjoy real peace and joy. Even more so, only because the Lord Jesus was born, and the Spirit of God materialized in an ordinary body, using the language of mankind to speak His utterances, do we know more clearly from the Lord’s words God’s will and His requirements for man, we can have a newer, higher practice, and our relationship with God can be ever closer. That which lay behind the Lord Jesus’ coming to earth, His expressing the truth and completing the work of the crucifixion, was filled with God’s painstaking efforts to save mankind—it was God’s love and mercy toward us corrupted mankind! Although, when the Lord Jesus concluded the work of redemption, He resurrected and ascended into heaven, in order to remember His birth, many people organize evening parties at Christmas, they put on performances and celebrate the Lord Jesus’ birth. But have we ever been aware of what the meaning of Christmas is, and what the Lord Jesus’ will and requirements for us are? What exactly should we do to satisfy God and to earn His praise? The Lord Jesus said: “The hour comes, when you shall neither in this mountain, nor yet at Jerusalem, worship the Father. … But the hour comes, and now is, when the true worshippers shall worship the Father in spirit and in truth: for the Father seeks such to worship him” (John 4:21, 23). We understand from the Lord Jesus’ words that the Lord hopes for us to worship God in spirit and in truth, and not rigidly adhere to all manner of formalities or get involved in activities. The Pharisees, chief priests and scribes in the temple in olden days focused only on engaging in various religious ceremonies and clinging to rules. Every day, they made offerings to worship God, but they paid little heed to putting God’s words into practice, nor did they follow Jehovah’s commandments, so much so that they even abandoned God’s commandments and adhered only to the traditions of man. In the end, not only did they not earn God’s praise, but they were hated and cursed by the Lord Jesus. If churches now hold big Christmas celebrations, it’s just a momentary flourish of excitement; everyone gathers together in joy and happiness, but we don’t truly worship the Lord, or use this opportunity to understand His will or gain knowledge of Him, and so we won’t receive the Lord Jesus’ approval. In fact, from when the Lord Jesus officially began His work to when He completed His work of redemption, He expressed many truths and laid many requirements on us. The Lord’s will is to hope that we will all focus on putting His words into practice, and keep to His teachings at all times, in all places, no matter what issues or people we may encounter. This is what the Lord requires of us, and it is the most fundamental principle of practice for those of us who believe in God. Just as the Lord Jesus said: “If you continue in my word, then are you my disciples indeed” (John 8:31), “You are my friends, if you do whatever I command you” (John 15:14). It can therefore be seen that, in our normal lives and in our dealings with other people, it is of the utmost importance to focus on practicing in accordance with the Lord’s words, for this is something which those who genuinely believe in God and worship God must achieve most of all. Are We Truly Worshiping the Lord? Now, many brothers and sisters come to church at Christmas to celebrate the Lord Jesus’ birth, to pray together, read the Bible together, and to sing the Lord’s praises together. But the rest of the time, we’re busy with our own jobs and careers or with interacting with other people. Very seldom do we quieten ourselves before the Lord and pray-read His words or seek to understand His will. Some brothers and sisters often attend meetings, but they seldom practice and experience the Lord’s words in their lives, they still live in sin, and their sins grow apace. For example, the Lord Jesus requires that we be humble and mild, but as we get along and work together with co-workers and with brothers and sisters in the church, we are dominated by our arrogant dispositions, we see our own views and ideas as perfect and we defend ourselves, and we are incapable of getting along peaceably with others. The Lord Jesus requires that we learn to forgive others and to love others as we love ourselves. But when others infringe upon our interests, we feel aggrieved, so much so that we live within the poisonous dispositions of Satan, and we judge and condemn other people. The Lord Jesus requires that we set ourselves apart from worldly people, but in our pursuit of worldly fame, status and physical pleasures, we follow the evil trends of the world, we live in sin and we grow farther and farther apart from the Lord. These are just a few examples of how we fail to live up to the Lord’s requirements. Although we place a lot of importance on keeping religious ceremonies, and we focus on being thankful for the Lord’s salvation and we praise the Lord on the specific days of various holidays, yet we do not follow the Lord’s way and we often live in sin. Is this how we worship the Lord Jesus? Can the Lord truly praise us for this? Take when parents raise their child to be an adult, for example. If the child is truly sensible and filial, they will take care to know what their parents like and what they don’t like, and whenever they do anything for their parents, they will always know what to do to please them. But if all they do is hold a big banquet on their parents’ birthdays, and just say, “I love you, mom and dad!” and when their parents really need them, they’re too busy with their own lives to fulfill their filial responsibilities, can they be said to be truly filial? If we want to become people who truly worship God and earn His praise, the key is to practice in accordance with God’s words, to exalt God in our hearts, to focus on following the Lord’s way in all things, to put the Lord’s words first, and to use what we actually live out to bear testimony to God and glorify God. Of course, some brothers and sisters gather together at Christmas to sing hymns and praise the Lord, to exchange with each other our experiences and knowledge of practicing the Lord’s words in our lives, to support and help each other resolve issues in our spiritual lives, and to close the distance between ourselves and God, and this also conforms with God’s will. 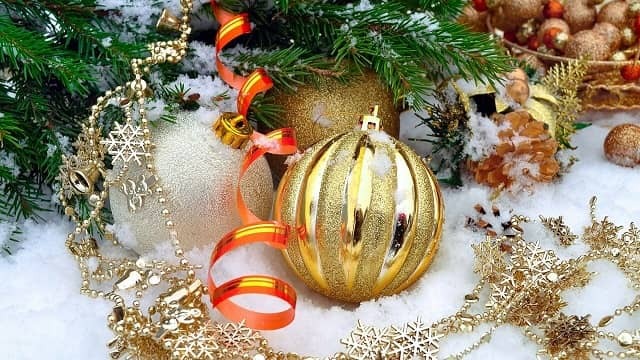 Moreover, when Christmas is approaching, there are now many western countries which organize charitable events for persecuted Christians and homeless people, and which gather together people in search of shelter and persecuted Christian refugees from all over the world so that they can exchange experiences with each other, thus enabling them to feel God’s warmth in the freezing cold of winter. These are also things which God shall remember. In short, the holiday itself is not important and all the various ceremonies are not important. What are most important are the Lord Jesus’ words and the things He requires of us. To be able to have a God-fearing heart and to seek the Lord’s will in all things, to practice the Lord’s words and to satisfy the Lord by meeting His requirements—this is what is most important. Only by practicing in this way do we truly worship the Lord Jesus and earn His praise. Thanks be to the enlightenment and guidance of God, and may He be with us all! • On Christmas Days. Do We Still Remember the Lord Jesus’ Love? I know that Eastern Lightning is the true way, but if I accept Almighty God’s work of the last days I shall be subjected to rejection and slander by the brothers and sisters belonging to my previous denomination. I really don’t have the courage to face that, so what should I do?